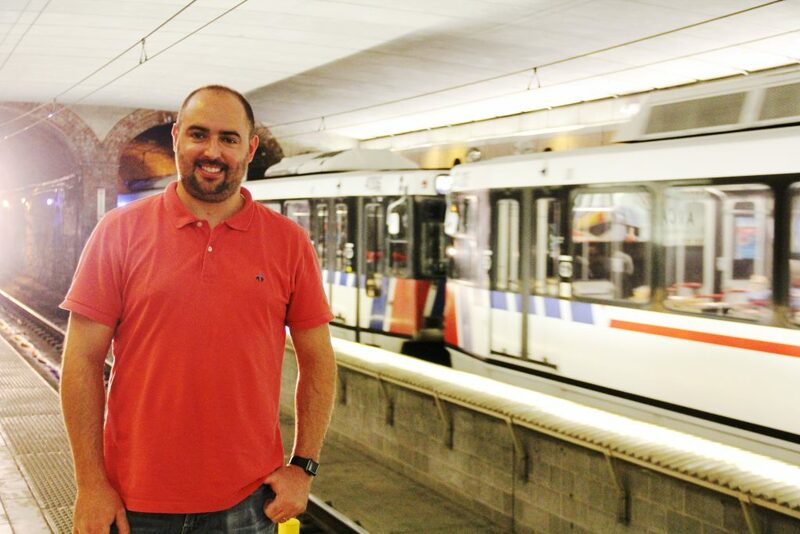 Joe is a city guy at heart, so it shouldn’t come as a surprise that he also has a passion for public transportation. Joe started using Metro at a young age. He remembers riding a MetroBus from Ballwin in West County to St. Louis University High School in the city of St. Louis. Today, Joe relies on Metro for a variety of reasons, riding MetroLink into downtown for work or events, to get to the airport, or using the system as a “spare” car when his vehicle is in the shop. “I like getting on MetroLink, sitting down and not paying attention,” he said. Joe also uses MetroLink to get to events in Forest Park. In fact, he rode the train to attend LouFest last weekend – and enjoyed a one-of-a-kind experience at the two-day music festival. Joe won the Ultimate LouFest Giveaway, a Metro promotion that provided a VIP experience to LouFest for two lucky fans. The prize included two 2-day LouFest VIP passes, a 2-night deluxe stay at the Drury Inn & Suites and free all-inclusive Metro Adventure Passes that provided unlimited rides on MetroLink, MetroBus and the Forest Park Trolley. “I was incredibly excited to win,” he said. While Joe and his family live within driving distance of a few MetroLink stations in University City, he’s not ready to go all in and experience the full no-car lifestyle just yet.